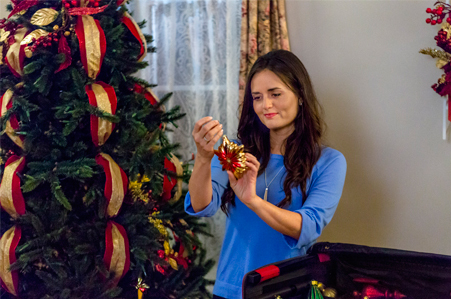 Its a Wonderful Movie - Your Guide to Family and Christmas Movies on TV: Danica McKellar stars in Hallmark's "Countdown to Christmas" Movie - Coming Home for Christmas! 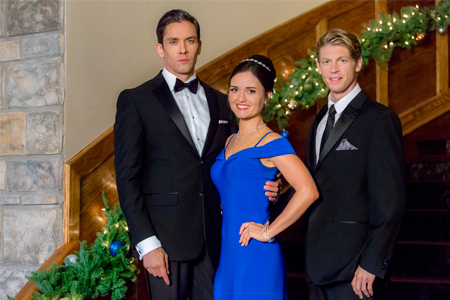 Danica McKellar stars in Hallmark's "Countdown to Christmas" Movie - Coming Home for Christmas! *Coming Home for Christmas is based on the book by writer Jenny Hale. 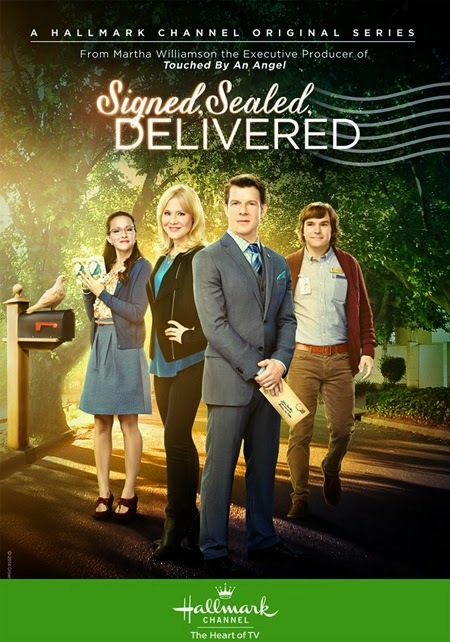 Storyline via Hallmark: Lizzie Richfield is at a crossroads when she lands a job as a house manager for the exquisite Ashford Estate in the Virginia countryside. 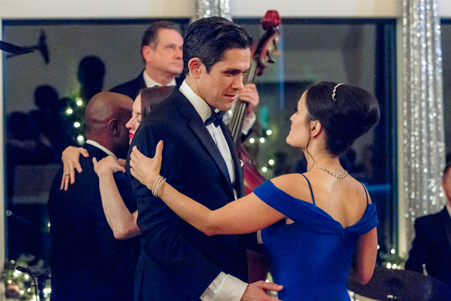 While preparing the place for sale, Lizzie plans one final Christmas Eve gala for the Marley family, though they seem to be a family in name only. There’s Kip Marley, who never met a party he didn’t like; Robert, the handsome but all-business executor of the estate; Sloane, who arrives with her two young children, sans husband, and the 80-year-old matriarch, Pippa, a spitfire who doesn’t want to put the house up for sale at all. As Lizzie is inserted into the home and the lives of the Marley family, she finds herself drawn to Robert – even as Kip pursues her. Can she navigate her suddenly complicated love life while helping mend family feuds and maybe teaching all the true spirit of Christmas? 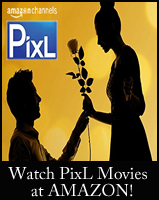 Speaking of Christmas, I saw 3 of the Hallmark Movies made into books available on Amazon! One was Love You Like Christmas and the one Candace did last Christmas! 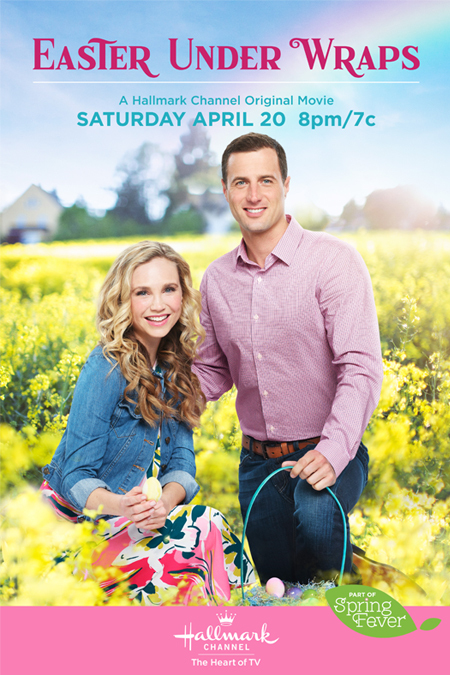 Misty - Yes, Hallmark will be releasing some of their movies in e-book version! Since the moment they contacted me regarding this news - I've been eagerly waiting to share it with all of you! 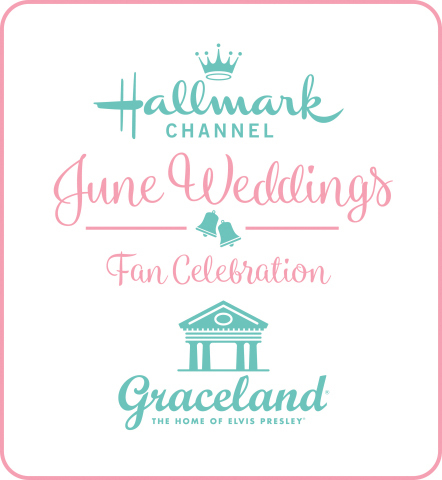 Hallmark put out a press release today with all the info! Looks like it's going to be an interesting love story triangle for Danica!!! If the main poster is any indication... then it looks like she just might end up with Robert, but who knows? Too bad they didn't put them both in the poster to keep us guessing a little! Wait, I am confused. The guy on the pic is Kip? I want her to pick Robert then...just by the pics. Ha! The guy in the main poster, with dark hair, is Robert, played by Neal Bledsoe. 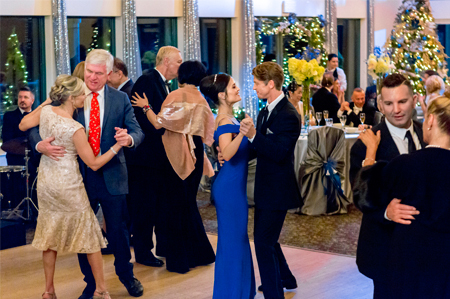 The part of Kip, the party guy with blonde hair, is being played by Andrew Francis, of Chesapeake Shores. Sounds like an ideal role for him, as he's always so fun and interesting to watch! I'm so looking forward to this one! The story sounds really good and Danica is one of my faves! Oh I'm really looking forward to this one! 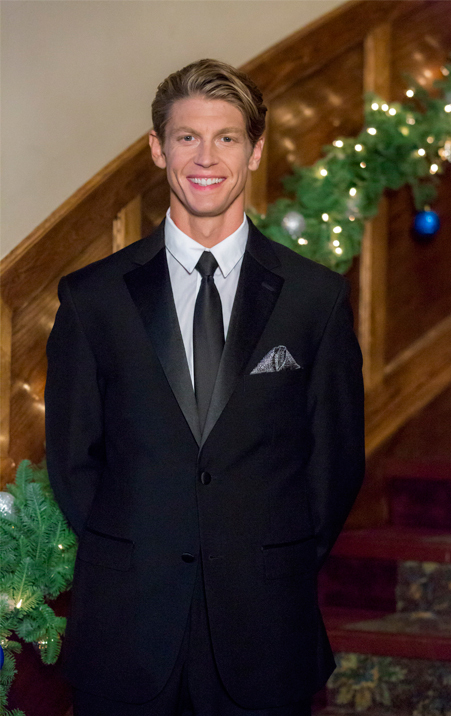 Happy to see Neal Bledsoe joining the Hallmark family. He's such a cutie!! Just wanted to thank you Net for all the work you put into this site. I just happened upon it a few years ago and I get so giddy seeing all the Christmas movie news throughout the year. 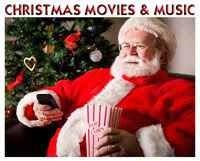 Can't believe only two more weeks until Christmas movies! I've been following along on Candace Cameron Bure's Instagram stories the past few weeks. She's been showing a lot behind the scenes of her new Christmas movie. Looks like a good one!! Melissa, I follow Candace, too!!! Plus, Danica and so many more!!! I'm so excited to see Candace's daughter, Natasha, join her this year for her Christmas movie! Plus, Happy the Dog! Looks like they have had such a wonderful time on set- which makes it even more fun for us to watch, knowing that! Can't wait for you all to see it! Danica, Neal and Andrew are all amazing! And Jenny's book is so wonderful, it was one of my easiest adaptations ever! Thank you ever so much for sharing, Nina! All of us viewers are eagerly waiting to see your story come to life - and, I absoltely agree... what a great cast! Congratulations! Danica McKellar somehow looks more amazing every year! She's also really outdone herself with this latest film, think it might just be her best one yet. Best of the season so far, well done. 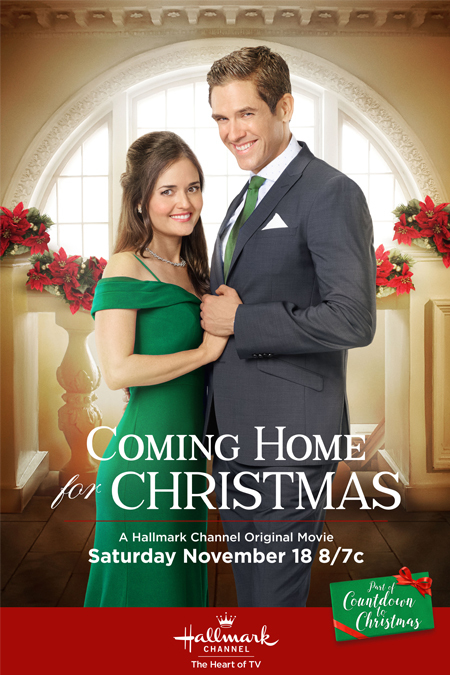 Just finished watching Coming Home for Christmas and loved it.My wife told me she wants the red pajamas that Danica was wearing for Christmas. 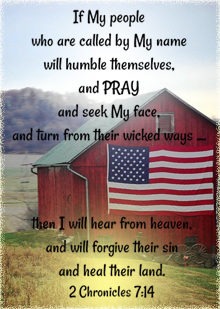 Can anybody tell me were I can find them? Who sang "Silver Bells" at the end of the movie? 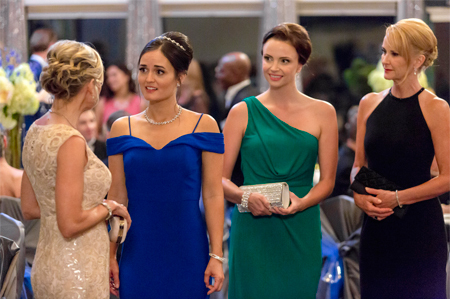 can someone please tell me where her royal blue gown is from? This wasn't on my "most looking forward to" list, but it turned out to be one of my favorites. It reminds me of a royal movie with the American version of royalty. Looking to find the dress that Danica is wearing to the business reservation with Lol? Maroon dress with lace. Thx! Who sang silver bells at the end? It's driving me insane! Love the movie... Will there be a continuation next year to let us know where their lives took them. I haven't heard any news on a sequel to this, but anything is possible! I thought this was quite a unique, wonderful movie! Danica was excellent in it, as usual! why isn't this on dvd yet?